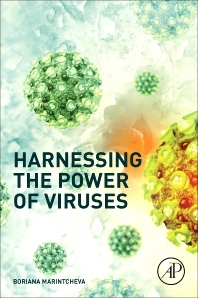 Harnessing the Power of Viruses explores the application of scientific knowledge about viruses and their lives to solve practical challenges and further advance molecular sciences, medicine and agriculture. The book contains virus-based tools and approaches in the fields of: i) DNA manipulations in vitro and in vivo; ii) Protein expression and characterization; and iii) Virus- Host interactions as a platform for therapy and biocontrol are discussed. It steers away from traditional views of viruses and technology, focusing instead on viral molecules and molecular processes that enable science to better understand life and offer means for addressing complex biological phenomena that positively influence everyday life. The book is written at an intermediate level and is accessible to novices who are willing to acquire a basic level of understanding of key principles in molecular biology, but is also ideal for advanced readers interested in expanding their biological knowledge to include practical applications of molecular tools derived from viruses. Boriana Marintcheva is an Associate professor of Biological Sciences at Bridgewater State University, Bridgewater, Massachusetts, where she regularly teaches Virology, Cell Biology, and Molecular Biology courses with labs. By training Dr. Marintcheva is a molecular virologist who has studied Herpes Simplex Virus Type I replication as a doctoral student at University of Connecticut Health Center and the biology of the bacteriophage T7 single-stranded DNA–binding protein as a postdoctoral fellow at Harvard Medical School. While completing her BS/MS degree in Biochemistry and Microbiology at Sofia University, Bulgaria she briefly investigated stress response in plants. Dr. Marintcheva is passionate about science education, science promotion and development of pedagogical tools advancing teaching and learning. She views technology (in all shapes and forms) as a potential driver of curiosity, creativity and motivation to learn, as well as a powerful evidence for the positive impact of science on human life. She believes that it never hurts to be optimistic, even when viruses are involved, and is perpetually fascinated by the turns and twists they bring to science and technology.